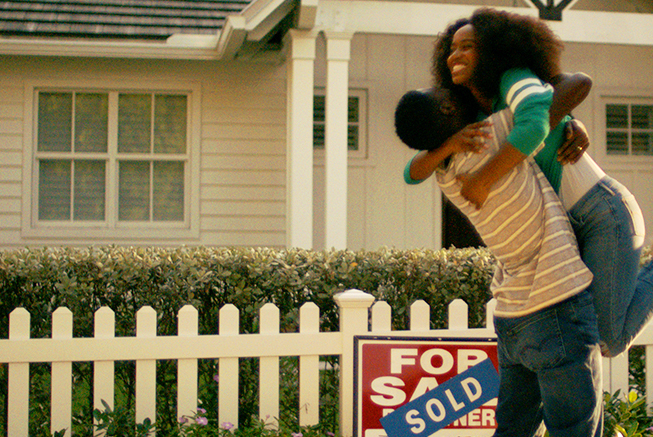 "This Win" follows a young woman as she pursues her dream of buying her first home. From working her way through grad school to carrying her ancestors with her to graduation, to her nervous self-talk in the mirror before her first job interview, she rises to every challenge with an optimism bolstered by her “village”. An homage to dreamers everywhere, the spot recognizes and celebrates the mini achievements that necessarily go into a person of color's larger journey towards their dreams. Jennifer Hudson returns to Chicago to surprise her former music teacher, Mr. Nunley. With the help of local American Family Insurance agents, Jennifer and a few other former students transform Mr. Nunley’s classroom without him knowing. We capture what happens as the surprise show of support leads to laughter, song, and tears all around. 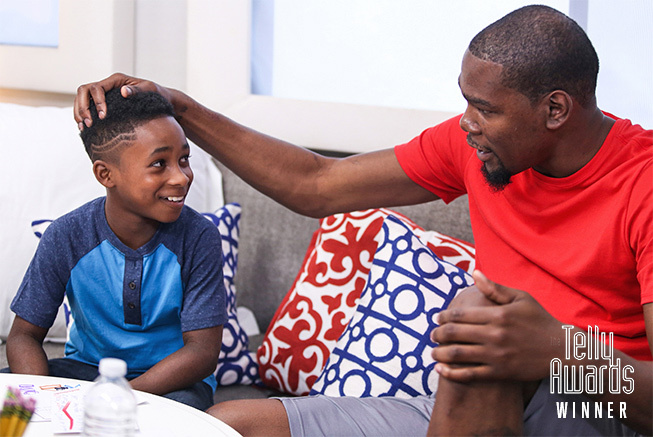 American Family Insurance brand ambassador Kevin Durant surprises and inspires a young boy named James. The connection is real: not only are the two from the same town, but they also are both fearless dreamers who consider their mothers to be their biggest supporters. We captured the magic of their meeting on camera and then shared it while everyone was watching to see Durant play his first games as a Golden State Warrior. Nintendo was looking to build relevance and market share for the DS console and software titles among women 18-34. We led negotiations to acquire Beyonce Knowles to help create excitement and awareness around the product offerings. 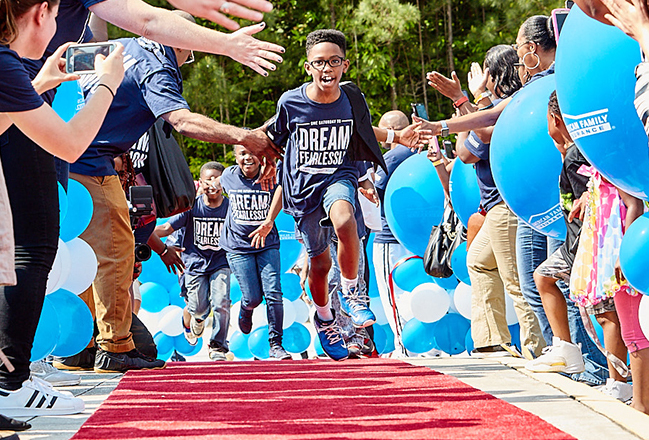 One Saturday To Dream Fearlessly (OSTDF) demonstrates the power of American Family Insurance to do good in the world. OSTDF is a series of local celebrations that encourages participants to support, protect, and inspire dreams in their community. It’s a day where volunteers, brand ambassadors and local charities can unite to strengthen and deepen community bonds for brighter futures. We created events specific to each market that inspire beneficiaries, engage volunteers and ignite communities. There is a longstanding tradition of Green Bay Packers riding the bikes of Green Bay kids to training camp. Naturally, the kickoff day to this training camp is always a widely anticipated event, as children get excited by the chance to meet their favorite players up close. 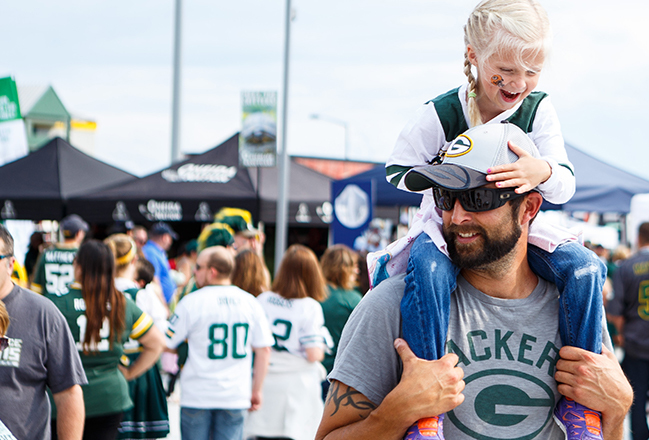 As a compliment to this tradition, we created an interactive branded experience filled with family activities to drive up consumer engagement with the brand. We created the Stomping On The Yard National Step Show Tour. “Stomping On The Yard” is the live event, tour and ESPN television special that inspired the movie “Stomp The Yard”. The tour consisted of over 100 three-hour step shows and campus festivals. We then licensed this platform, trademark and intellectual property to Sony Pictures for the blockbuster film. 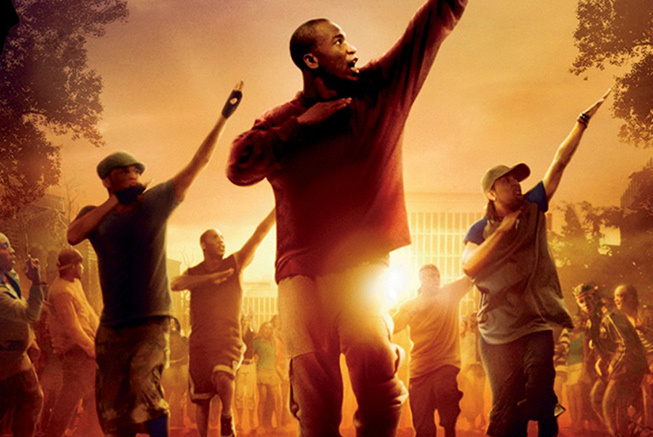 To date, Stomp The Yard has grossed more than $100M in worldwide box office sales. © 2018 Elite Media, LLC. All Rights Reserved.